Adore your space by placing this beautiful Yomud Bokhara afghani runner which is hand-knotted in 90% pure wool and 10% finest quality of cotton material. It is woven by our skilled craftsmen in India. 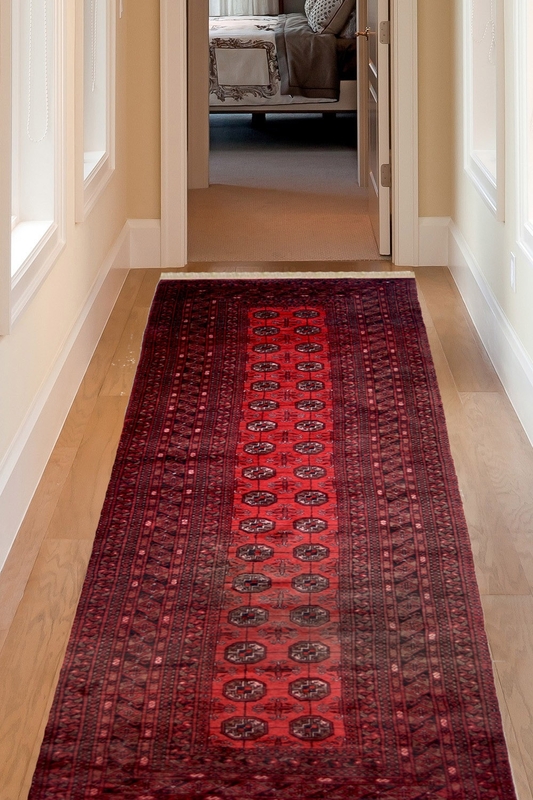 Add interest and coziness to your floor surface, pick this antique Bokhara designed runner from Rugs and Beyond. This piece of wool runner will add a sense of antiquity as well as luxury to your every kind of living space. Among the many kinds of rugs from India, finest quality of wool and kilim design carpets are known worldwide for their beauty and soberness.